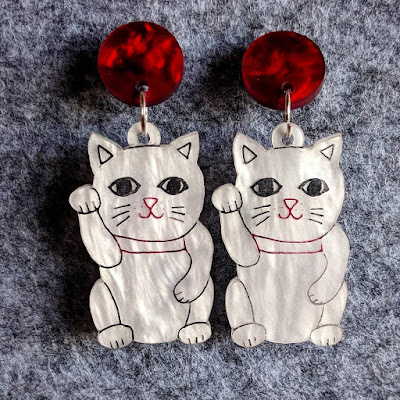 The sweet little Lucky Cat earrings are now available for sale! 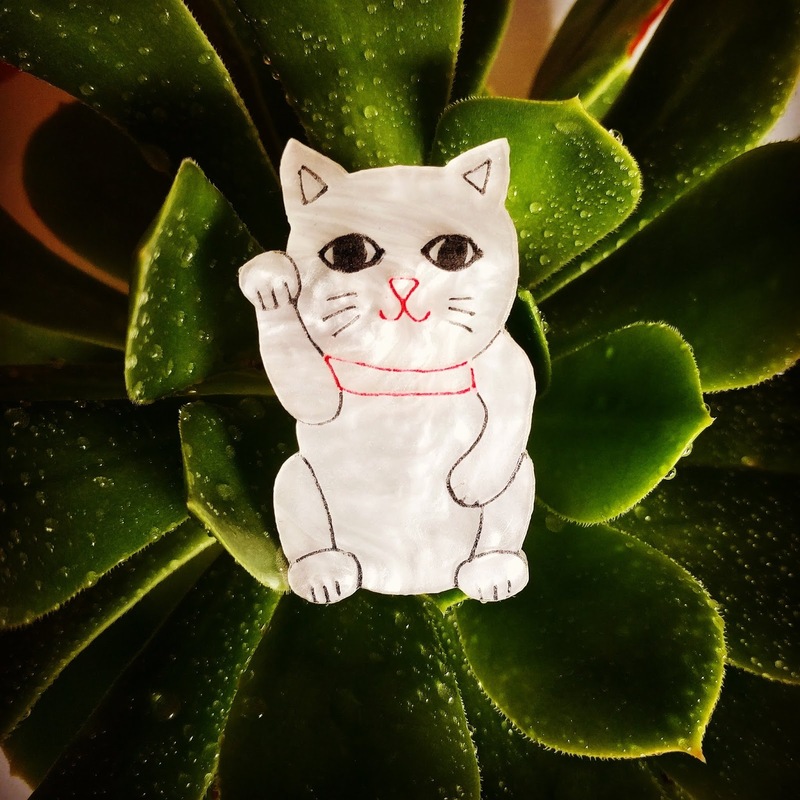 Maneki-neko (beckoning cat or lucky cat) is a super cute traditional Japanese lucky charm. handpainted and coated with resin.